When most people think of a solar home system they tend to imagine large, costly arrays of cells, huge battery banks, and the need for special appliances (propane refrigerators, etc.). Often these homes are unable to generate enough energy to operate items like air conditioning and heating systems. But, off the beaten path, in rural Lamar County, Georgia, the Muise family has created a homestead that uses a solar home system that is also connected to the local EMC (Electric Membership Corporation) grid. Charlie, Tracey, and their son, Allan, benefit from this system that allows them all of the creature comforts, while still creating financial and environmental benefits. In a sense, it offers a certain amount of energy independence while allowing access to the conventional grid system and the convenience that can offer. Recently, I was able to have a conversation with both Charlie and Tracey and they shared a great deal of information about their solar home and how their solar home system works. 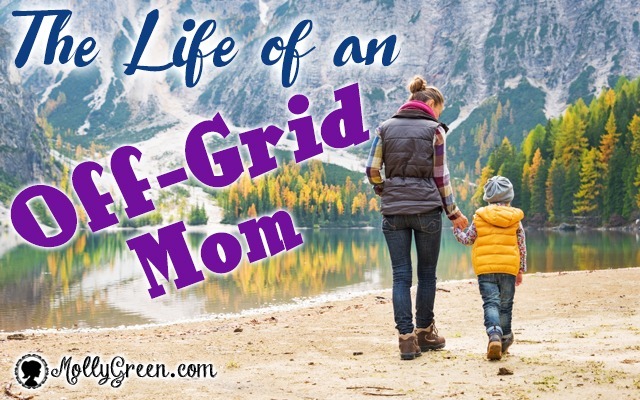 Q: Why did you choose grid-connected solar for your home? Tracey: The system that we put in covers about half of our electric usage in non-AC months. We couldn’t afford to put in a system large enough to go totally off-grid, though we certainly would love to. Since we couldn’t afford to go off grid it makes sense to tie-in. Our system is designed to first fill the back-up batteries and then go to any current electricity needs. If we make more electricity than is needed for those two things, then we sell any extra to Southern Rivers, our EMC. They buy it at a one-to-one ratio, so I just think of them as a giant battery for us. Each electric company, though, has their own rules about what they will pay for electricity. Charlie: Even if we could produce all the electricity we needed, there are still benefits to staying connected to the grid; such as backup in case our system fails, ability to sell back, etc. Q. What is the ballpark cost of your solar home system? Tracey: It’s hard to answer that question since we rolled the solar in with several projects. Part of our costs included pouring a cement pad under the deck—that is where the batteries and computer are located—new decking on part of the porch, and new high-efficiency French doors (since the sun had baked and destroyed the old door and decking). We also purchased a system that could handle expansion in later years. If we were to go back and do it again we would have waited a few more months until the federal tax credits kicked in. I don’t know how the tax credits are now. Also we got bifacial PV cells, which are more costly because we wanted them to serve as a roof for our deck. At the time we took out a loan for about $20,000, but that covered it all. Is that right, Charlie? Charlie: The loan was $25k, but only about 2/3 of that was for solar. In addition to the places in which Tracey identified additional costs, this also included construction of a custom-designed and -built structural aluminum frame to keep the solar system separate from house and deck. We spent a lot more money than was absolutely necessary. If we don’t ever expand, then realistically we wasted some of that money. We also added another breaker panel, which contains what we identified as the most crucial circuits: well pump, refrigerator, and either lights or plugs for each room. If we ever lose utility for days or weeks, we can survive on these circuits indefinitely, having power day and night because of the batteries. Q. Does your plan include storage of energy for future use? Batteries? Tracey: Yes, we have batteries. When we put in this system, we designed it with the hope of expanding in the future. The computer system that we put in to control all of our solar is larger than our current need so that, hopefully, when we add more PV cells, our current system is ready to expand to meet that. Charlie: We have 10 batteries that can hold substantial power. This is good because if we lose utility for extended periods, we still have power at night and during cloudy times when the array isn’t producing much. Q. What is the lifespan of your solar home system? Tracey: It doesn’t have moving parts so the PV cells will keep on operating indefinitely. The batteries are the limiting factor. Q. What is the lifespan of your battery bank? Charlie: The batteries have ten-year guarantees. There were better batteries out there when we did this, and batteries are even better now. Q. Is there a cost associated with storing energy? Tracey: Not really, other than monthly maintenance of the batteries. Q. What advantages are there with a grid-connected solar home system over conventional electrical service? Tracey: Our electric bill is much lower since we produce about half of our electricity for much of the year. We don’t have to feel bad about putting pollutants into the air with our system. And we have a backup source of electricity if the grid goes down. Our provider tested it and our battery system is designed to store enough energy to make it through the night as well as run day-time basic needs indefinitely. Charlie: Every EMC in Georgia has different rules. Our provider, Southern Rivers, buys our power at a one-to-one basis, meaning it’s the same rate at which we buy from them. Since it’s rare we sell more than we buy, it is essentially handled as a credit: if we send them 4 KWH, they basically subtract 4 KWH from our bill. Q. Did you build this solar home system in stages or was it a one-time installation? Tracey: We had it installed by Solar Source of GA (George Andrews) at one time. Q. Would you recommend this type of system as a solar DIY project? Tracey: We didn’t feel like we had enough electrical knowledge to do this. Maybe others can. George Andrews helped us a lot in planning and creating our system. It is a unique system since our PV cells serve as a roof for our deck. Also, he did all of the negotiating with the EMC, who had never dealt with a grid-tied system before. Charlie: There are now some off-the-shelf systems out there, but most home solar arrays are still custom-designed. Q. If you had it to do again, what would you do differently, if anything? Charlie: We’d wait a bit and spend more initially. Mouse-proof ALL wires. We had one incident in which a length of conduit allowed mice in. They chewed a sensor wire and that allowed two batteries to overheat. One battery was destroyed. Q. What do you want people to know about this type of system? Are there common misconceptions? Tracey: Yes, it’s expensive up front, but in the long run it saves you money. Our system is now paid for so all of the electricity that we make is free! Solar is MUCH less expensive than it was 20 years ago. There are no moving parts involved with solar (unlike wind and other alternative fuels), so it will last a long time. Charlie: This is NOT a roof-top system. In 2013, we replaced our roof, and the solar array did not at all complicate the job, increase time to do it, or increase cost, nor did the array have to go off line for any period of time. Additionally, the array functions as a shade to the south-facing side of our house. Q. What happens when grid power goes down? What steps do you take? Tracey: We pretty much don’t have to do anything. Our system goes into back-up mode. A couple of times we didn’t even notice that the power went out for everyone else. Q. How does this solar home system reflect your family’s values? Tracey: It ties in perfectly with our desire to have things that last and to minimize our impact on the earth. Charlie: And be more self-supporting. Jan Hatchett is a Christian wife and homeschooling mother to two handsome sons. When not writing, you may find her quilting, canning, crafting, sewing, gardening, cooking, or horseback riding. You may read about her other exploits at www.anotherhatchettjob.wordpress.com.